Diamond Details: Round brilliant cut white diamonds of F color, VS2 clarity and excellent cut and brilliance, weighing .24 carat total. 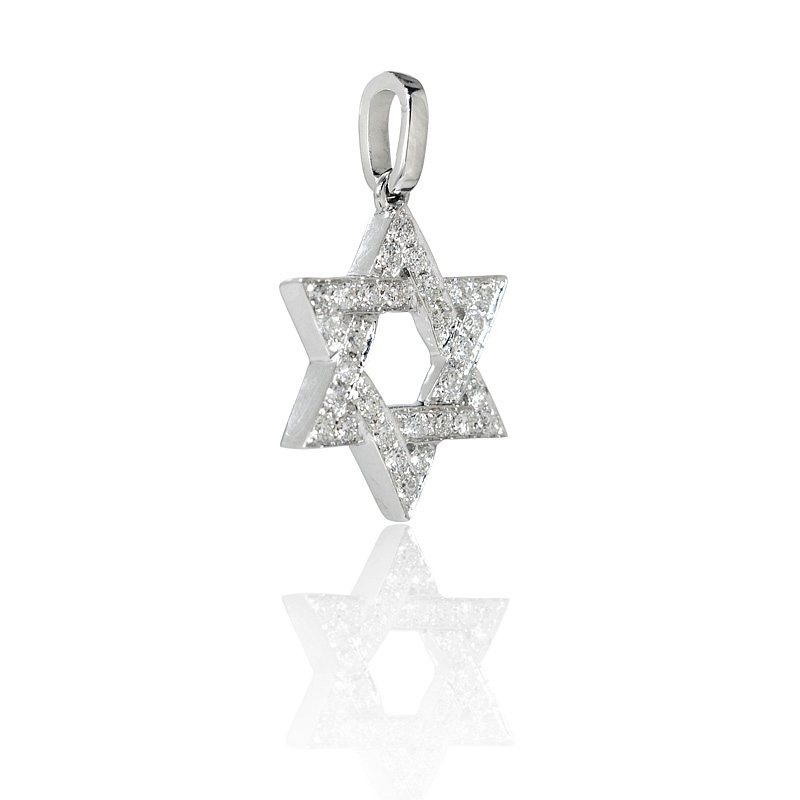 Pendant Details: 18k white gold Star of David design. Measurements: 21mm in length and 12.75mm at the widest point. 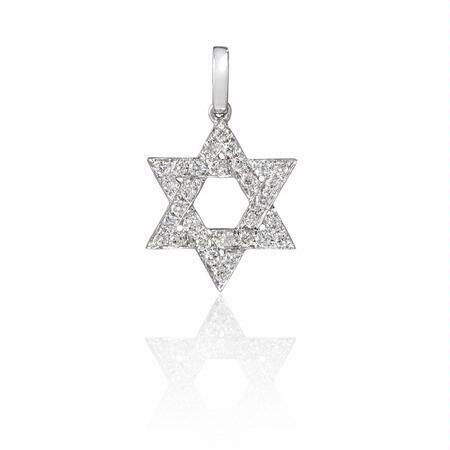 This breath taking 18k white gold Star of David pendant, features round brilliant cut white diamonds of F color, VS2 clarity and excellent cut and brilliance weighing .24 carat total. The pendant measures 21mm in length and 12.75mm at the widest point. 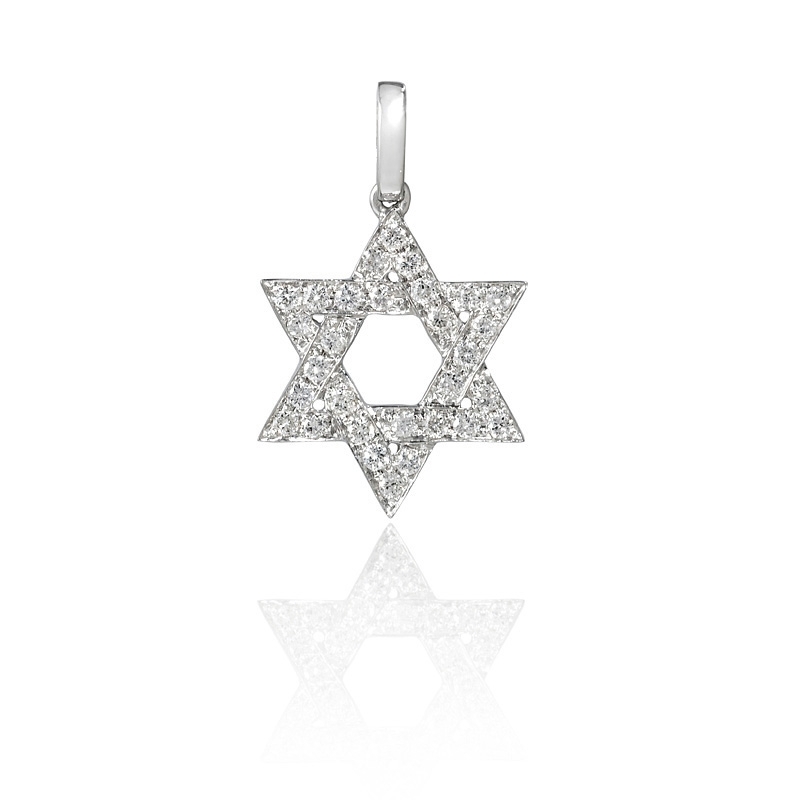 A chain to go with this pendant may be purchased from our vast collection, please inquire before buying!